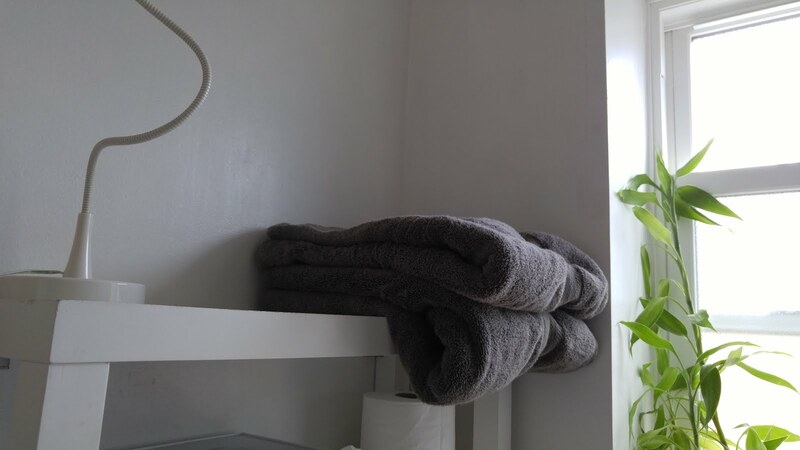 Folding your linens to fit your space can make a world of difference. You can fit more in a space and find things more easily. It all depends on your space, as usual. Are your shelves/drawers deep or shallow? Narrow or wide? Here, the towels folded in half twice. See how they they flop over the edge of the shelf? 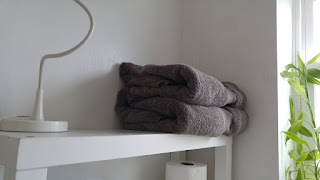 Now, the towels folded in half, then in thirds. As you can see, they fit the shelf much better.